We are talking with Sam Jadali, the Chief Executive Officer of Host Duplex - a high quality web hosting, XenServer VPS hosting, and dedicated server solutions. HOSTSEARCH: Sam, welcome back to HostSearch.com. We talked to you 3 years ago in 2010, can you please share with us what’s going on with you? 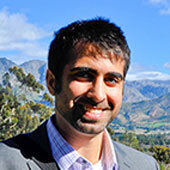 SAM JADALI: Thank you HostSearch for having me back. During the past few years, my staff and I have been working diligently to build our infrastructure and further establish ourselves in the industry. This is best seen through our continuous global expansion. Back in 2009, we launched Host Duplex in Chicago. Since our last interview with HostSearch, we have further expanded our presence into two datacenters in Los Angeles. With the expansion into LA, we have been able to target the west coast as well as the Pacific and Asian markets. Furthermore, we have added an additional presence in Europe, which is set to go live in early 2014. A vital component to our expansion has been our ability to keep operating costs low by means of energy efficient purchases and economies of scale. Similarly, our well-designed infrastructure facilitates economies of scale, and we can attribute much of that to our implementation of the XenServer cloud platform along with the growth of efficient technologies. HOSTSEARCH: What are the main products and services of the company? SAM JADALI: Our core services include XenServer cloud hosting, shared hosting, PCI compliant hosting, as well as disaster recovery. As a part of these services, we are dedicated to providing not only fast response times but also short resolution times. This not only reduces customer inconveniences but also company inefficiencies. In order to improve our customer resources, we maintain a large database of video tutorials to assist our clients with their accounts. Similarly, we are greatly improving our current knowledgebase with many more subjects. We expect an updated rollout to occur in the upcoming months. HOSTSEARCH: Host Duplex uses Citrix XenServer virtualization technology. What are the advantages of that? SAM JADALI: Citrix XenServer provides a powerful virtualization platform that provides scalability and high availability. Most importantly, it provides our users an isolated and stable cloud environment. The platform can be used for services such as a mail server, file server, web server, or for any server related function. A major benefit of XenServer is its support for paravirtualization. Paravirtualization relies on hardware-assisted virtualization resulting in a highly configurable system. This offers isolation where each virtualized instance has its own kernel that has been modified to run on the hypervisor. Competitor technologies such as OpenVZ rely on operating system (OS) assisted virtualization. OpenVZ does not try to virtualize the hardware; instead, it does so at the software level. The OpenVZ host maintains a kernel to isolate the processes and resources of its virtualized instances. The advantages include less overhead and higher utilization of hardware resources. This allows for a higher number of virtual instances per physical server resulting in higher profit margins to the hosting provider. Disadvantages include decreased stability and possible software compatibility issues, such as that with legacy software. This is due to OpenVZ’s reliance on the host kernel. In contrast, XenServer’s hardware-assisted virtualization uses more resources in overhead in order to maintain its separate and isolated instances. We chose this latter disadvantage as a sacrifice to provide the best service possible for our customers. What we sacrifice in overhead, results in a highly configurable system that offers increased stability, isolation, and performance for you as the client. HOSTSEARCH: In the previous interview, you described about revamping of your web site as well as reducing carbon footprint. Is there anything that you can share with our visitors how it is coming along? SAM JADALI: We have undergone several changes to our customer interface systems over the past few years. Most notably to our domain management, support, and billing systems. Our web site itself is currently undergoing a major design overhaul which will include updated information about our green initiative as well as important facts about our field. Our industry is now known to use more than 2% of the world’s total electricity. Being such a considerable amount, we as a hosting provider have a duty to keep that number as low as possible. At Host Duplex, we are absolutely committed to reducing our carbon footprint and truly care about our long-term energy usage. An important part of reducing our carbon footprint is via Renewable Energy Certificates (RECs). We have purchased a Green-e Certified REC and invested in 100% renewable wind energy. Our REC purchase represents 150% of the electricity our servers use. Meaning, not only are we neutralizing our footprint, but we are adding energy to the system. Our purchase results in 40+ acres of pine forests storing carbon for one year or an avoidance of over 100,000 lb’s of CO2 emissions. SAM JADALI: The answer is a simple one, redundancy and R&D (Research and Development). We are fanatic about redundancy. No matter what level of service our clients choose, all of our servers include battery protected RAID which protects against hard drive failure. Other hosting providers provide this an option; we have taken another approach and standardized it. Mechanical components will inevitably fail, and we unequivocally employ RAID to protect our clients against such failures. In addition, each server includes dual power supplies which are connected to a battery backup and diesel generator. If any major outage were ever to occur, our facilities have contracts to bring in replacement diesel fuel within hours. Moreover, we have deployed an infrastructure monitoring system that flags software as well as hardware issues. Our 24/7 monitoring, combined with proven technology has given us one of the best uptime ratings in the industry. None of this however, could happen without thorough research. R&D has been ingrained in every staff member and is a part of his or her daily duties. It has been of utmost importance in maintaining our high levels of security, reliability, and performance of our infrastructure. 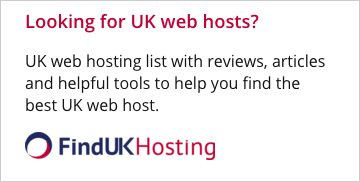 HOSTSEARCH: I understand that you have more than 10 years of experience in the web hosting industry. Can you share with us about your experiences in this industry? SAM JADALI: My hosting ventures began as an adolescent from my home bedroom. I was in the 8th grade and cable modems had just made their way to Iowa. 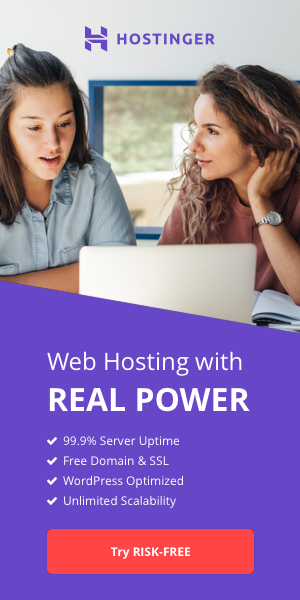 I was eager to make use of it and quickly began selling server space from my home computer. One year later, I launched 4WebSpace.com and soon after, a free web hosting company called Livin4.com. While I did not know much about the industry, I was keen to learn. Constant research as well as my experience in starting several other hosting ventures has brought me to where I am today. With that knowledge, I have employed four core principles into our business philosophy at Host Duplex. This includes security, redundancy, performance, and customer service. A happy hosting experience simply cannot exist if there is a lack in any of these four areas. SAM JADALI: We maintain consistently high ratings because of our service and steadfast honesty with our customers. We will never offer a service we cannot provide, and we are empathetic to our clients’ needs. In order to succeed in any industry, you have to love and be committed to what you do. For us, our love and commitment translates to happy customers. We are committed to not only serving our clients directly, but also indirectly by researching the best technology we can use to fulfill their requests. HOSTSEARCH: What promotion is currently available for HostSearch users? SAM JADALI: We have created a special promotion specifically for HostSearch users. Use promo code: HOSTSEARCH2013 on any shared hosting plan and receive a one-time 25% discount. Valid until December 31, 2013.